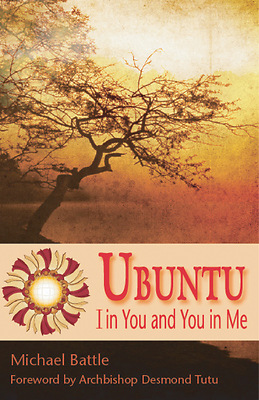 As defined by Archbishop Desmond Tutu, a person with Ubuntu is open and available to others, affirming of others, does not feel threatened that others are able and good, for he or she has a proper self-assurance that comes from knowing that he or she belongs in a greater whole and is diminished when others are humiliated or diminished, when others are tortured or oppressed. The African spiritual principle of Ubuntu offers believers a new and radical way of reading the Gospel and understanding the heart of the Christian faith, and this new book explores the meaning and utility of Ubuntu as applied to Western philosophies, faith, and lifestyles. Ubuntu is an African way of seeing self-identity formed -through community. This is a difficult worldview for many Western people, who understand self as over, against, or in competition with others. In the Western viewpoint, Ubuntu becomes something to avoid—a kind of co-dependency. As a Christian leader who understands the need, intricacies, and delicate workings of global interdependency, Battle offers here both a refreshing worldview and a new perspective of self-identity for people across cultures, and of all faiths.